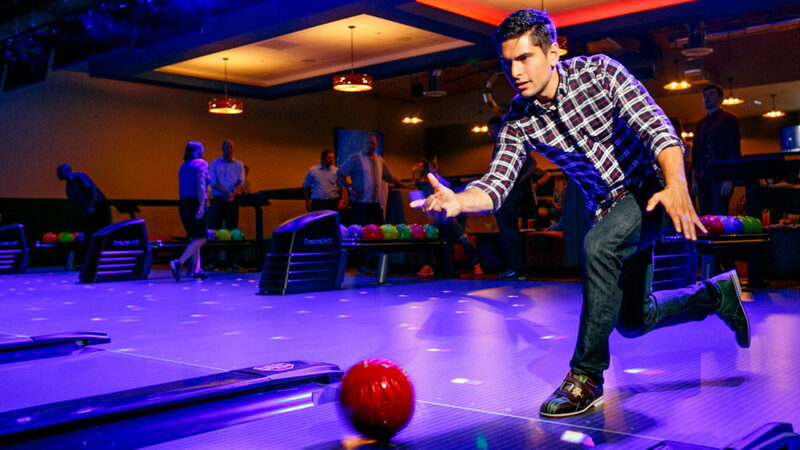 Bowling, Arcade, Virtual Reality, Laser Tag and delicious food and beverage. We’ll take care of the planning, just let us know how we can plan your group. Enjoy bowling on one of our 24 main lanes featuring four top tables, automatic bumpers, and state of the art scorers. 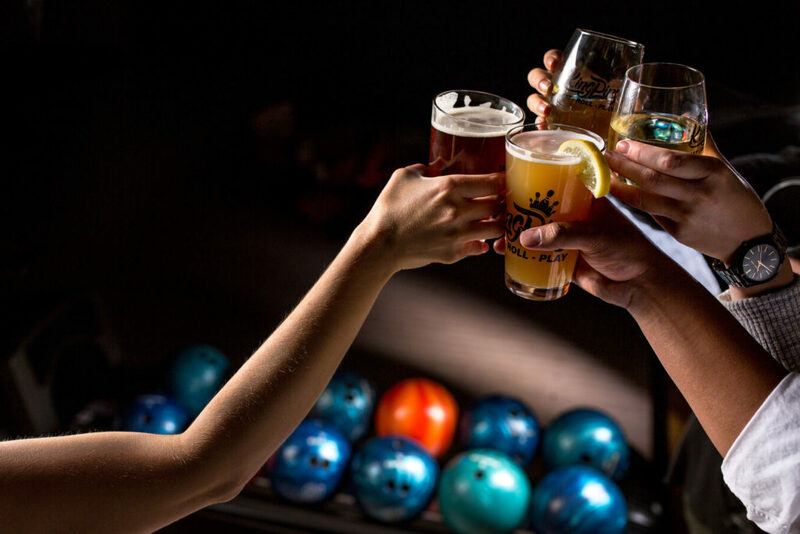 Looking for a little more lounge feel enjoy bowling on one of our ten lanes in the TapHouse Bar. 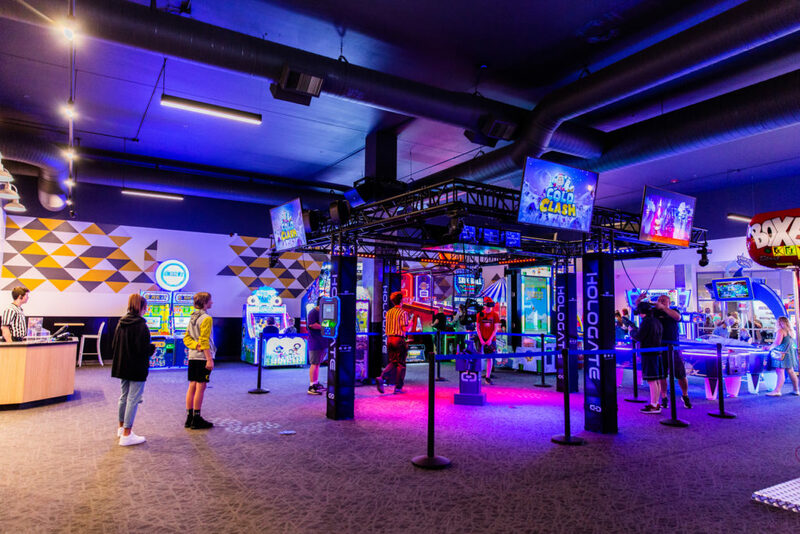 Our Arcade features 50+ of the latest and greatest arcade games. Great for all ages, kids to adults. Load up your KingPins FunCard and head into the arcade. All redemption tickets load right onto your card so you can save up for the ultimate prize in our Winner’s Court redemption store. Our laser tag transports players to a distant planet where a futuristic industrialized world encroaches upon an untamed rainforest of twisted trees, strange creatures, and colorful species of plants. 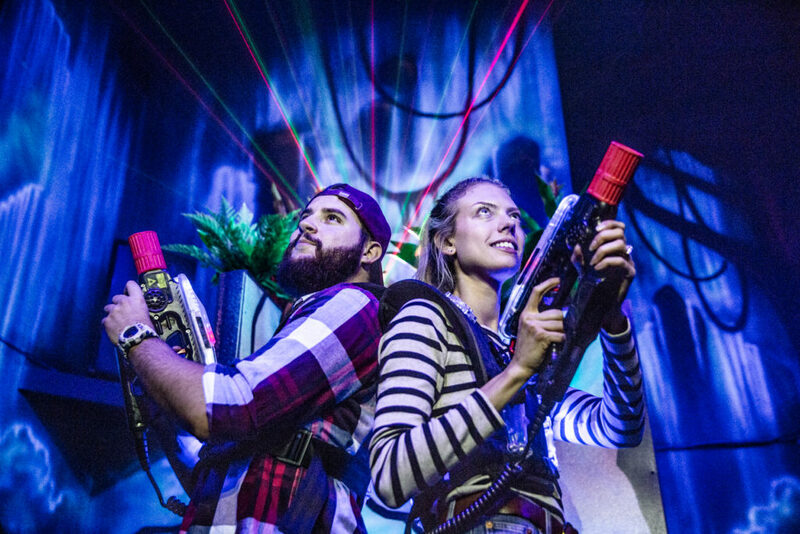 Join the mission to conquer the quest in our laser tag arena. Our Virtual Reality multiplayer virtual reality attraction that delivers advanced graphic technology. Start an adventure in a new reality and experience this fascinating world together. Fight robots, dragons and zombies, throw a virtual snow ball or bond together and try to escape a sinking submarine. TapHouse Bar and lanes area features ten lounge style bowling lanes with couch seating at the lanes and restaurant seating above. This area is great for company functions to make your party feel like they have the place to themselves. Our TapHouse bar features 24 beers on tap, always rotating with local breweries in the Portland area. State-of-the-Art media to showcase any photos, videos or any other multi-media display to enhance your event.